If.... is a film directed by Lindsay Anderson, from a screenplay written by David Sherwin, based on a story co-written by Sherwin and John Howlett. 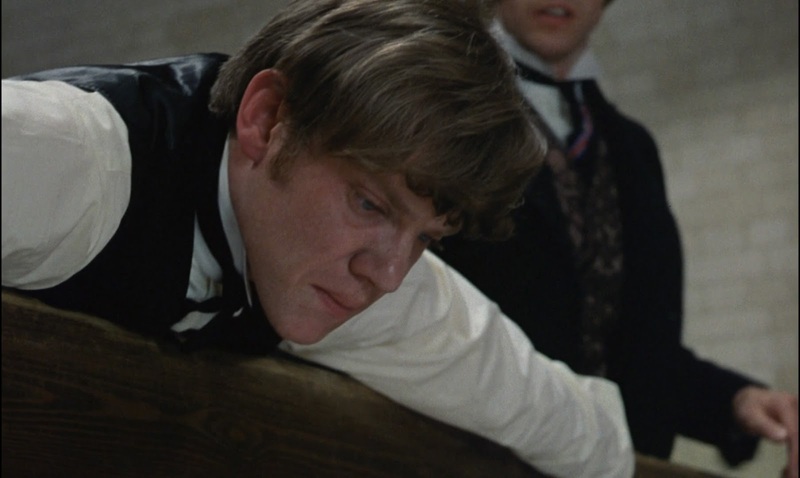 It stars Malcolm McDowell in his first screen appearance. 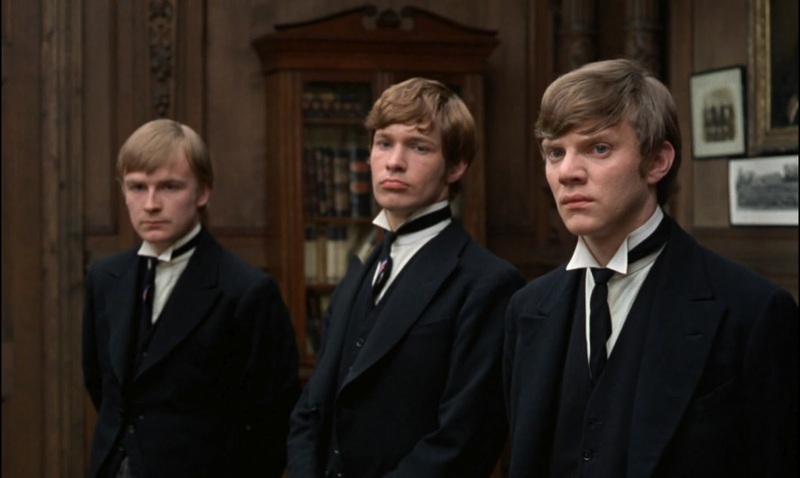 It won the Palme d'Or at the 1969 Cannes Film Festival, awarded by a jury led by Italian filmmaker Luchino Visconti. 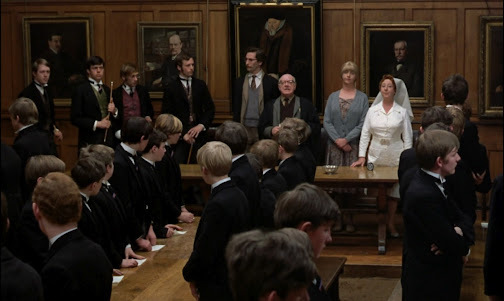 It's set in an upscale British private school in late 1960s, beginning on the first day of school, with students returning to their dormitories after summer holidays, and closing at the commencement ceremony at the end of the school year. 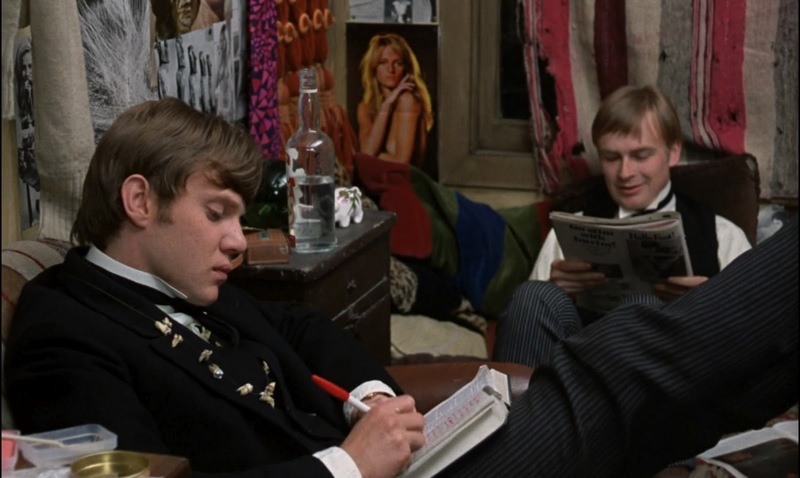 All the way through, the film satirically highlights the repressive mood and abusive structure within the school, following rebellious senior Mick Travis (a marvelous debut from McDowell, almost a precursor to his later iconic role in Kubrick's A Clockwork Orange), and his two best friends Johnny and Wallace (played by David Wood and Richard Warwick), as they are pushed over the brink into full on revolt. Anderson draws on the revolutionary atmosphere of the time, using this setting as a miniature scale model of British society, to denounce and attack the old ways, and he does it with a healthy dose of style. He mixes elements of surreal fantasy (involving the presence of an imaginary unnamed dream girl, played by Christine Noonan) into the film's stifling reality. Scenes such as a three-up motorcycle joyride through a grass field, representing the freedom the protagonists only dream to have. It was shot by Czech New Wave cinematographer Miroslav Ondrícek, whom Anderson met while in Czechoslovakia to present his debut feature, This Sporting Life, at the Karlovy Vary Film Festival. Images are composed in his usual understated fashion, one that realistically captures the action and story without drawing undue attention to the camerawork. However, it should be noted that there is some interesting alternating between scenes in black-and-white and in color. Switching randomly, apparently as the official explanation goes, not for artistic or dramatic effect, but for technical and budgetary reasons. 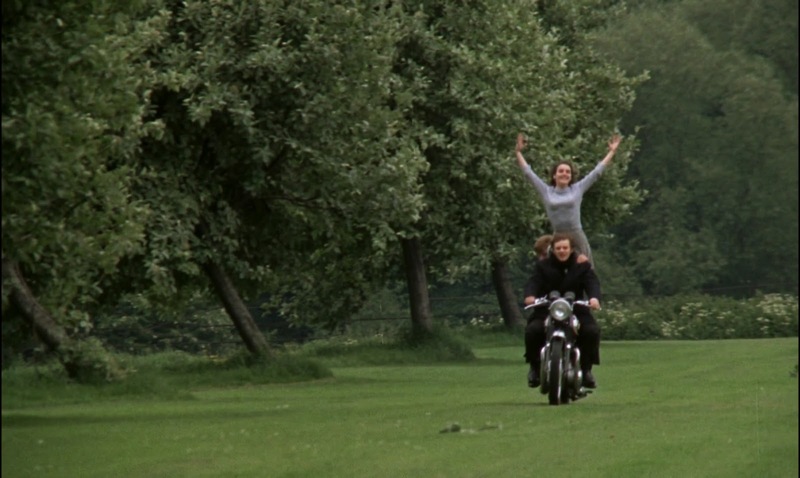 The film's anarchistic call to arms, with methods potent and provocative for its time, however, haven't aged so well. 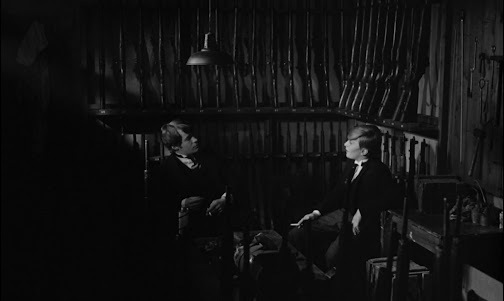 The setting, and the Jean Vigo inspired ending don't quite shock or incite quite as powerfully today as they did back in the height of the counterculture movement. 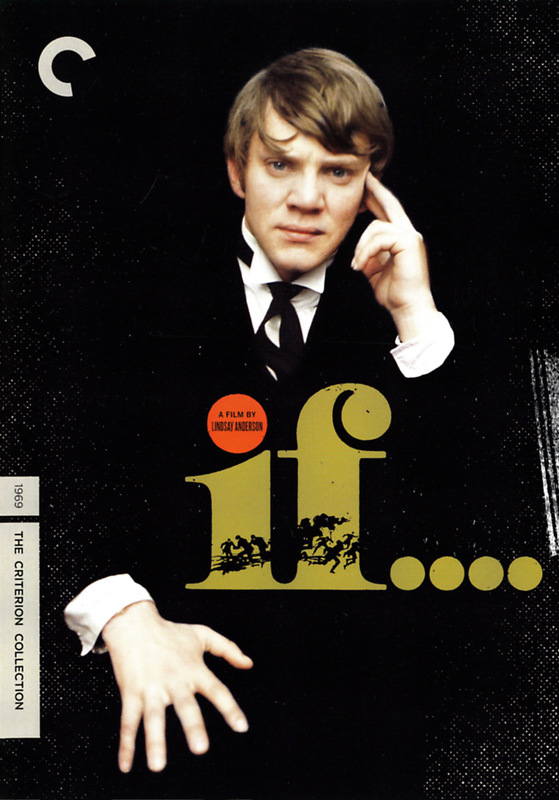 Still, I think in today's era of growing dissatisfaction with the establishment, the underlying message of If.... remains just as relevant as it ever was. Great review. I agree with you about it being a percursor to McDowell's performance in "A Clockwork Orange" I rented this last night but the disk kept skipping after chapter 3. Hope to see this soon. I also saw in the credits that Stephen Frears was one of the assistant directors. I enjoyed this film immensely. I'm not sure the ending hasn't aged better than you give it credit for, though. I felt in a lot of ways that it almost presaged shootings that happen now. Admittedly, the meanings for those shootings is not the same, but the act itself is. Malcolm McDowell's entrance with the scarf over his face is one of the greatest film entrances I've ever seen, and if memory serves, it's his first ever film appearance--a great reveal and introduction for an actor. This is one of the films I need to watch. It is high on my list and the presence of McDowell is one of the main reasons why. Very good review BT. You are slowly taking over this Palme d'Or feature! 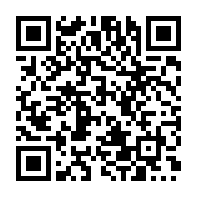 Lots of great films! Yeah you can totally see glimpses here and there of the beginnings of Alex Delarge in this character. Hope they have another copy you can trade the defective one with. It's a bit freaky to talk about now, considering that shooting last night. My thoughts were that the impact of seeing it on film with bad special effects isn't the same, because now it's there in gory detail whenever we turn on the news. 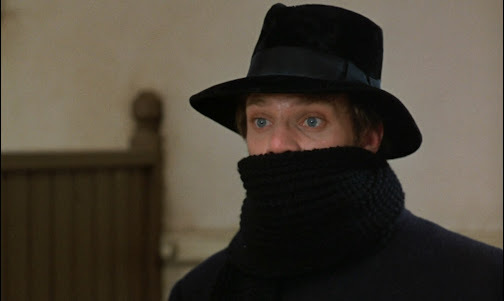 I agree McDowell's entrance was excellent, yeah that was his first feature role, a sign of great things to come. Thanks Michaël, I think you will greatly enjoy it. The list is daunting but I am slowly making my way though it. Looking forward to seeing this one day. Didn't even know it was a Palme D'Or winner! AH... someone had told me to look into this one a few years ago. I'd forgotten. Thanks for reminding me and for a bit of background. I think it would be better to remove these comments, since it's kind of a spolier. I should really watch this. But ever since an ex of mine raved and raved and insisted on me watching this I've had an aversion towards it. Thanks for stopping by Pete. Let me know if you ever do watch it. 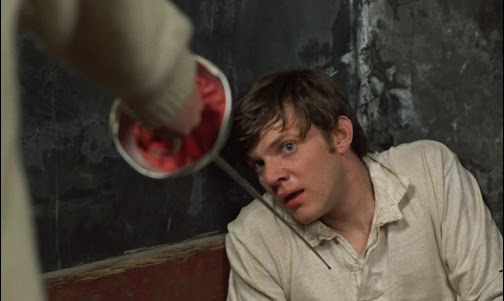 Haha, good topic for a blog marathon: Films that remind you of people you hate. I cannot believe that you review a film that I've seen as well haha. I must say I didn't get it, when I watched it, but I'd love to give it another try. Yeah I suppose this one might be a bit too British. I'm happy that you've seen it though. I just watched this the other day and followed it up with Anderson's O Lucky Man. I really enjoyed the style of it and story. Good to know about the Czech New Wave influence--as I really loved how it was shot. Definitely check out O Lucky Man if you haven't already. Afraid I haven't seen O Lucky Man yet, but I'm adding it to my watch list now. Thanks again for visiting Christine, hope your summer is going well!